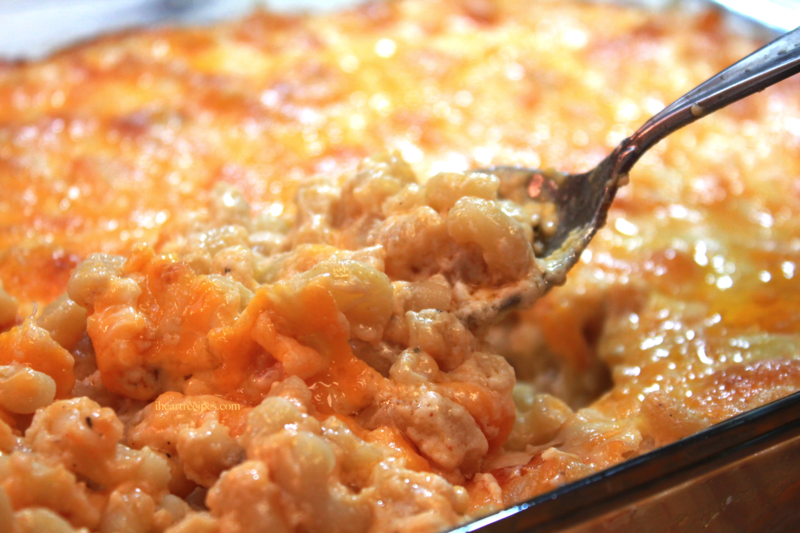 Best Southern Soul Food Macaroni and Cheese recipe. Requires NO Velveeta cheese, nor eggs! There is something about homemade macaroni and cheese that makes me want a complete soul food meal. I’m talking about crispy fried chicken, tender collard greens with ham hocks, buttery cornbread, and super creamy cheesy mac and cheese. Yassss! Just the thought of it take me back to my childhood! I remember it just like it was yesterday. My mom would wake up early every Sunday to get started on dinner. She’d turn on the radio, play that good ol’ r&b ( explains why I listen to r&b while I cook! ), and go in! My mom would be in the kitchen all Sunday peeling potatoes for her southern potato salad, and cleaning fresh greens that she bought from the market. I’d just observe everything, and patiently wait for her to ask me to sample something. My favorite thing to sample was macaroni and cheese! I’d always make up an excuse for why I needed two bites to ” make sure” it was right… Yeah I was a greedy lil thang back then too! Especially when it came to mac and cheese! Well some things never change. Even as an adult, I still love me some macaroni and cheese. If I had to pick my favorite recipe for macaroni and cheese, I probably couldn’t because there are way too many to choose from. That’s like asking me to choose between Morris Chestnut and Idris Elba.. Why can’t I just like both of them?!! DON’T MAKE ME CHOOSE PEOPLE!! However, I can tell you that I prefer southern & soul food mac and cheese over the others. Since I already have a southern baked macaroni and cheese recipe uploaded, I will share my soul food version. I actually shared a similar recipe many years ago. However, since then I’ve added more cheese, and changed the steps. Take a look! Now we all know I have a ton of macaroni and cheese recipes uploaded already, but I refer to this one as my soul food macaroni and cheese recipe for several reasons. Reason number one – this is the kind of baked macaroni and cheese you probably had growing up in a soul food household. It has cheese throughout it, and it is completely homemade! 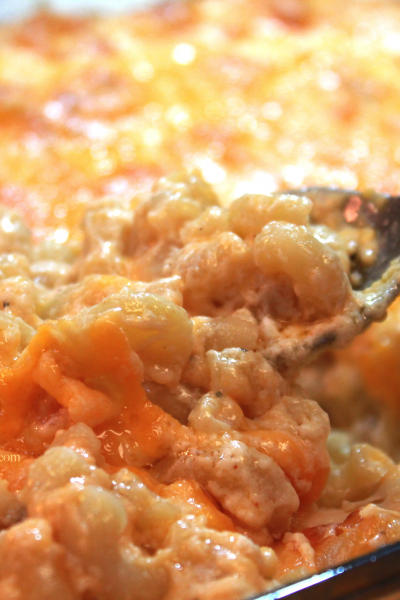 Reason number two – honey child I put my soul into this southern soul food macaroni and cheese! Unlike a lot of southern mac and cheese recipes, I do not use any eggs nor Velveeta in this one. Why No Velveeta? Because it is not needed! The cheese sauce that I make ( from scratch, might I add!) is creamy and cheesy enough. Forget about the myth that Velveeta HAS to be used in soul food mac & cheese. It’s all lies I tell ya!! I’m not saying this because I dislike Velveeta ( because I’ve used it in other recipes! ), I’m simply stating the truth. The homemade cheese sauce that I make for this macaroni and cheese is made from three different cheeses. I use Havarti, Gouda, and…..CREAM CHEESE! The cream cheese is what make this cheese sauce so freaking creamy. I tell you, it is amazing! Now as far as pasta, I use plain ol’ elbow macaroni pasta, nothing special. You can use any brand that you choose, just make sure that you don’t overcook the pasta ( don’t nobody want any mushy mac and cheese sweetie!). Oh and before we get into the recipe, here is a tip: For best results buy the cheeses in block, instead of buying shredded cheese. I find that it melts better! Soul Food Macaroni and Cheese made with 6 different cheese. No Velvetta no eggs required. Pour 8 cups of water into a pot, and sprinkle in 1 tsp of salt. Bring the water to a boil, over high heat, then add in the elbow macaroni pasta. Cook the pasta until it is al dente ( cooked but still firm), then drain the pasta and rise it under cool water. Place a large sauce pan over medium heat, then toss in 4 tbsp of butter. Melt the butter down completely, then sprinkle in 2 tbsp of flour. Whisk the ingredients until they are well incorporated, then pour in the evaporated milk and half & half. Whisk the ingredients, and continue to cook it over medium heat for about 3 minutes. Reduce the heat to low, then add in the cream cheese, gouda, and havarti. Stir the mixture until the cheese melts, and you have a nice creamy cheese sauce. Sprinkle in the seasoning salt, pepper, paprika, onion powder, and garlic powder. Mix until well incorporated. Toss the macaroni pasta into a large pot, and pour in the cheese sauce. 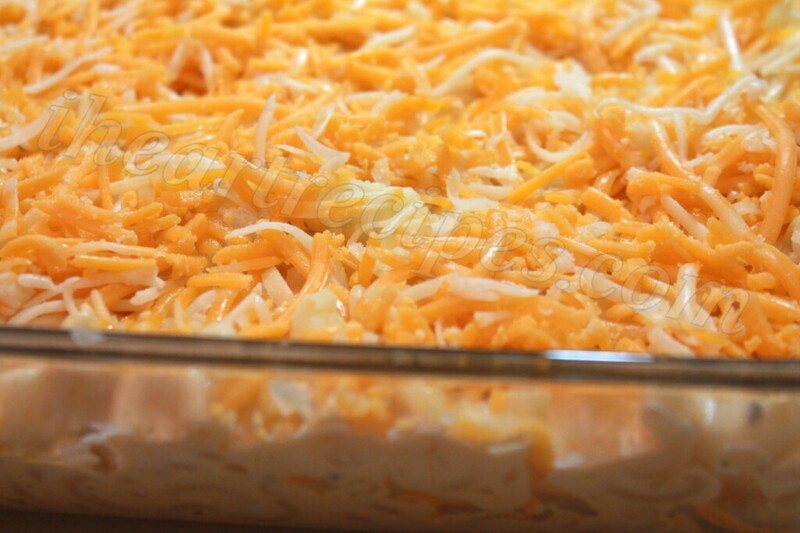 Stir everything until it is well combined, then pour half of the macaroni and cheese mixture into a 9 x 13 bake dish. Sprinkle some of the sharp cheddar, mozzarella, and colby jack on top of the mac and cheese. Next add the remaining macaroni and cheese into the bake dish, and top it off with the remaining cheese. Bake the macaroni and cheese, in a preheated oven, on 350 F for 25-30 minutes. Remove from the oven, and let sit for 5 to 10 minutes. 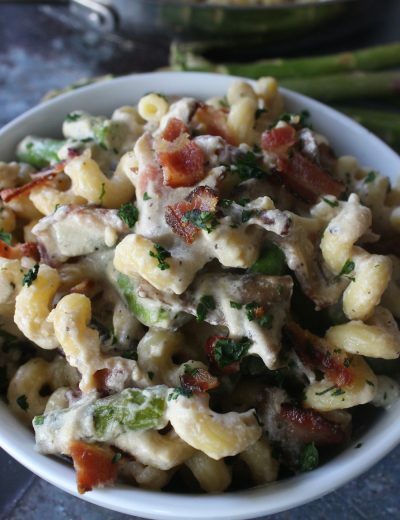 With this recipe I could get behind mac and cheese! lol! So often mac and cheese is dry not creamy, but this changes the game. Pinned. Definitely making this recipe!!!!! Thanks (my mac & cheese lovin family thanks you also)! Hi Rosie, thank you for taking your time on showing the steps on how to make mac and cheese. Is going to be my first time making it. Hope it comes out really good. Im going to make it tomm. for thanksgiving. I will write back to you on how it came out. thanks. Let me know how everything turns out hun! Hey Jay! Glad that you like it sweetheart! I forgot to layer it. Will that make a big difference? The mac and cheese is amazing! I have made it 3 times since finding the recipe. I brought it to a friends party as a side dish and it went in records time. 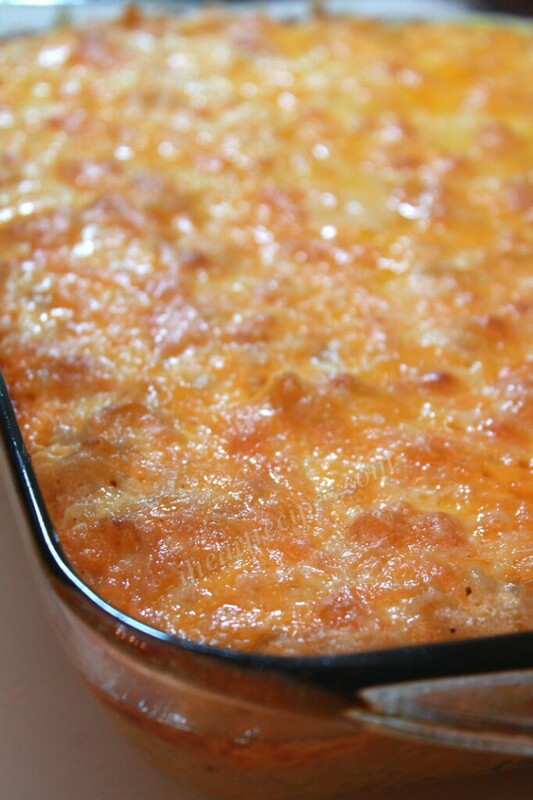 Thank you for sharing one of the best mac and cheese recipes I have tried. Omg!! Made it for Thanksgiving and it was a hit. My son hollered and kissed my head (he’s a mac n cheese fan) – he said I have to make this every holiday. Next time, this girl will have a food processor so satisfying and delicious! I made this recipe twice so far and both times it has come out to perfection. Thank you Rosie for this incredible recipe. It’s the only way that I’m making macaroni and cheese from now on. Just Finsished making this recipe…for years ive been trying with all diffrent types of mac and cheese recipies to get that perfect soul food Dish. LETS SEE HOW IT GOES!!! IM EXCITED….STAY TUNED!! HI ROSIE. I JUST JOINED YOUR SITE, AND I’M ENJOYING WATCHING YOU MAKE YOUR RECIPES. I’VE TRIED PRINTING OUT SEVERAL OF YOUR RECIPES, BUT ARE UNABLE TO PRINT THEM. CAN YOU EMAIL ME AT kbama125@aol.com AND TELL ME WHAT I’M DOING WRONG? ROSIE, I’M UNABLE TO PRINT YOUR RECIPES. CAN YOU TELL ME WHAT I’M DOING WRONG. I HAVE SUBSCRIBED TO YOUR MAILING LIST. I’m not sure. There is a printing option on most of the recipes. You should be able to print them. Rosie, I’ve been trying to find a easy to make mac n cheese and I think yours is the one. I will certainly being making this for my Thanksgiving dinner. Thanks and I’ll let you know how it turns out. Do I have to use the havarti cheese and the Gouda cheese for the cheese sauce? Is the mozerella,Colby jack, and sharp cheese ok to use for the sauce? I made the mac n cheese and I’ll be checking out your cornbread stuffing recipe, thanks for making my Thanksgiving with some soul! I thank God for blessing me to come across your YouTube channel. For thanksgiving 2016 I made this recipe, the yams and fried Cornish hens and omg melt in your mouth delicious. For Christmas I’m going to make your stuffing, sweet potato pie, sweet potato casserole, and roast beef. Thank you! Thank you! THanks for giving my recipe a try! Made your mac and chez for thanksgiving and it turned out AWSOME!!! Had no complaints. Hi Dan! Awesome! I’m glad that you like the recipe. I made this recipe for Sunday dinner and it was the best macaroni and cheese ever!……even better that Patti Labelle’s recipe!… I will be trying other dishes!…thanks again! Glad that you like my recipe! I LOVE macaroni and cheese, but before I didn’t know how to prepare it. I attempted other recipes but it didn’t come out tasting good. Your recipe is filling, creamy, and full of flavor (not bland)! I prepared it for Thanksgiving and it was a hit! My family kept going back for more (and so did I)! It was so good that the men of my family took plates home and the mac-n-cheese was in their to-go plates. Thank you for teaching me how to cook my favorite food! I definitely plan to try out more of your recipes for the upcoming holiday season! Hi Rosie. I notice you have lots of mac-n-cheese recipes, just like I do. Which is your all-time favorite and why? Hi Carol! I think as of now, it’t the soul food macaroni and cheese, because of the combination of cheeses, and the cheese sauce. I will be trying this recipe for Christmas! 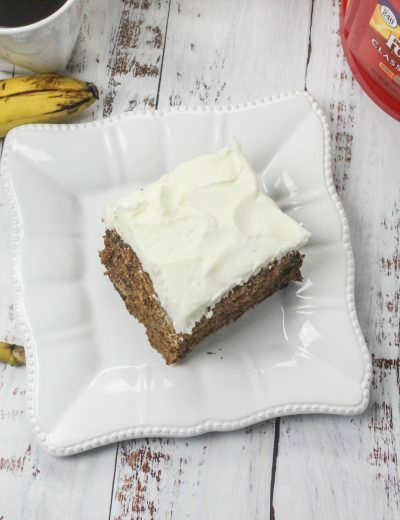 Love… Love this recipe! It’s so creamy & so cheesy! I have made this two times so far and every time it has been a big hit with everyone! This one is definitely my favorite! 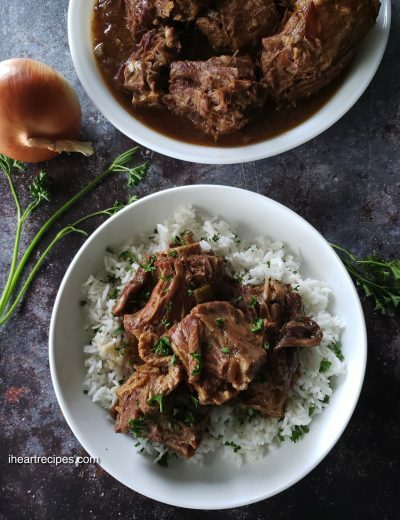 Thank you for sharing this recipe!!!!! I made this Mac and cheese for Christmas dinner yesterday and my family and friends were asking for more today! They were so impressed! Even the picky eaters were in LOVE, asking who made the mac and cheese and giving me compliments! I must mention that I NEVER EVER cook anything! I followed the directions and it was a great success. I just had to leave a comment to show my appreciation. Thanks for the video as well because the visual helped. 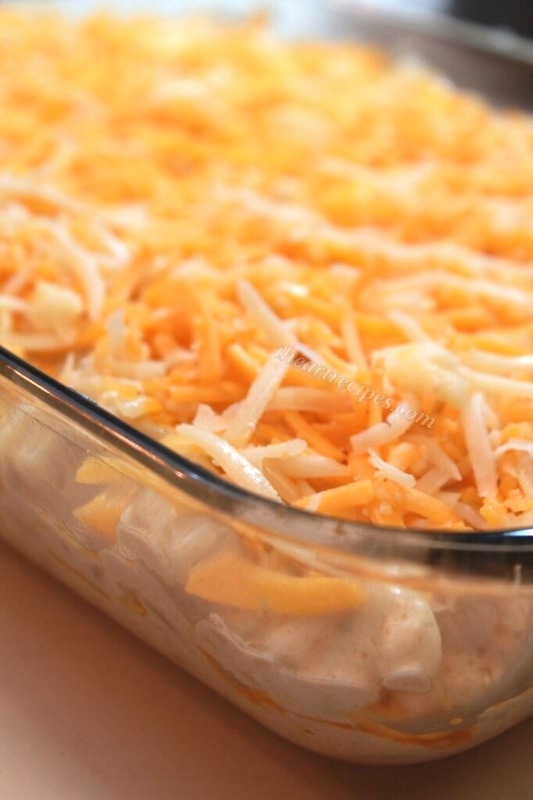 What size baking dish do you use for your southern baked macaroni and cheese? This is by far the BEST macaroni and cheese I have ever made!!! In the oven now!! Can’t wait! ! :) thanks for recipe! Hi Rosie, Thank you for this awesome an amazing recipe , I made it yesterday for Sunday dinner,because i was looking for an amazing Mac an cheese. To take to my sister in law’s ,,daughter baby shower,so I made it yesterday it was fantastic Honey,it will surely be great for the baby shower, I am 45 years old an I do a lot of cooking 4 kids 1grand an hubby. I been cooking for yrs. The way my grandmother used to cook was amazing but everybody keeps the recipes quiet an on thevhush hush so i went looking on my own for years now, I knew how to make it, her way but never really had the measurements, we knew to put this in an that in but never the measurements exactly. So it would be Ok but never really great an what i was really looking for an searching for that particular taste ,,,,an have been on the hunt for years ,but ms Rosie you win hand down ,I love love love it. You know yo stuff honey. I am now watching everything you make. My next thing will be your caramel cake, my grandmother, would make this when we were kids but I have made this before but your cake recipe looks great an the icing too. Thanks again .I can’t say enough. Ms Rosie wanted to let you know the Mac an cheese was the star of the shower this past Saturday.they were doing the happy dance an raving on an on about it.I took two party pan trays , so in total I made 3 trays so far .I will nev er make another Mac an cheese that goes in oven any other way. Thank you, thank you ,thank you for your amazing talent an recipes an for helping me shine bright an star .. Thank YOU Lynnmarie for trying my recipe! Sorry I meant to say for helping me to shine as bright as a Star !!! I was wondering if you can make this recipe in a crock pot? If so, how should I go about it? This looks amazing ! I was wondering if adding an egg would hurt the recipe? My grandmother prefers eggs in her mac and cheese, so I’m curious. finally getting around to making this today and was wondering what I could use as a substitute for half and half as we don’t have it here in Australia. Hi Ashlee. You can use 3/4 cup milk, and 3/4 cup cream. Thanks for trying my recipe Ashlee! I have a question I’m going to try this recipe this coming sunday, will it hurt or taste different if I put a egg in the cheese sauce? You can add whatever you’d like, but be aware that you are changing the recipe. Therefore the outcome will not be the same. Only make low fat Mac and cheese but I was asked to make some for a party and no low fat-lol. I used your recipe after all the great comments and great feedback on it. I will be making it again so I can eat it right out of the oven!!! Thanks for sharing!!! Thanks for trying my recipe Reenie! OMgosh, I am so happy to find this!! I have known for a long time that southern Mac N Cheese was different and special, didn’t have a CLUE how to do it. I just found you. 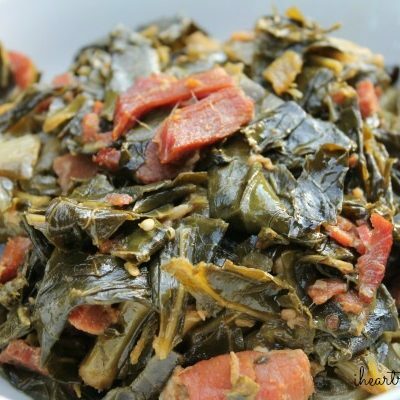 Frankly, I am very very excited about your other southern recipe, especially greens! THANK U!!!!! I was wondering what would be the measuring size for a family of three?? You’ll have to divide the recipe hun. Extremely delicious ! Made this recipe tonight for Sunday dinner and was iffy about all those random cheeses but I would have missed out if I didn’t use them ! My boyfriend couldn’t stay out the pan and he’s VERY picky at that ! 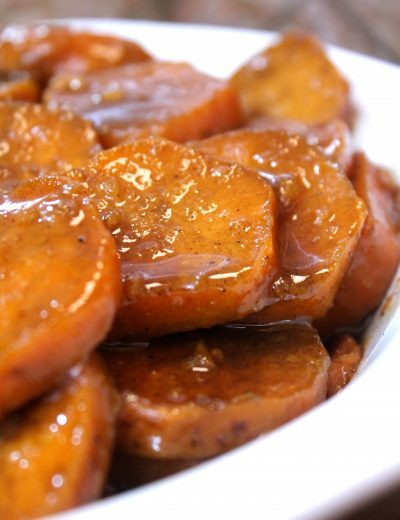 Also made your southern candied yams.. You are the real MVP ! Saving these recipes for my lifetime.. Thank you so much ! I’m only 22 so just know my future family events will be with you recipes ! Hi Rosie, I found your recipe on Youtube yesterday and went right to the store after work and bought everything to make it. And I am glad I did. My picky son ate it for dinner yesterday and it was the only thing he complimented me on. (I gave you credit ; ) He ate it again for breakfast this morning. My Mother came over to visit and ate some after football last night and put up a to-go container afterward. Sadly, there isn’t much left over, so I’ll have to hit the store again. This is the best. Thank you!! I have been humbled. I REALLY thought my mac and cheese recipe was the bomb, until I tried this one. Honey, this mac and cheese is the TRUTH!!! I made it for our Sunday dinner and it was a HUGE hit!! 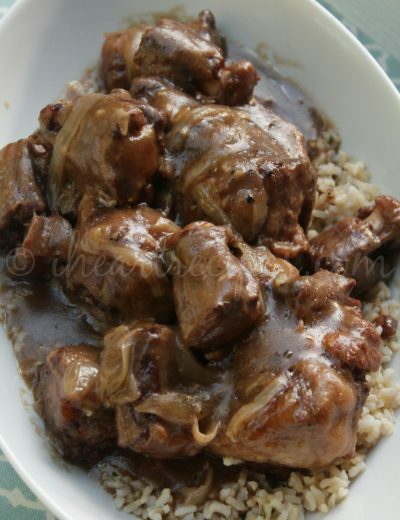 So, I have happily tossed my recipe out the rotation and replaced it with yours!! And with the holidays coming up, I’m pretty sure I’ll be trying out many more! Thanks for sharing!! Hi Terell! LOL!! So glad that you liked the recipe! Thanks for trying my recipe sweetie! 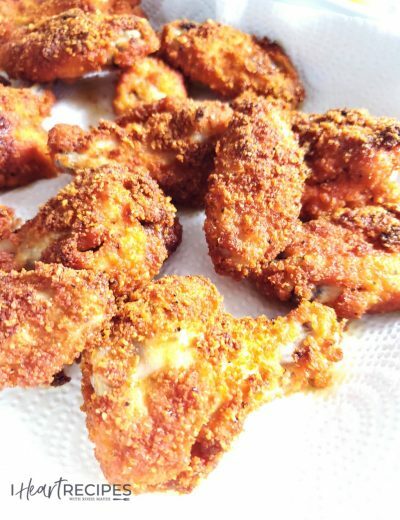 I just wanted to tell you this recipe visit awesome my childern and my husband loves it. I have made 4 times. Thanks so much for trying my recipe! I’ve been making Mac & Cheese all wrong! Your recipe is outstanding. Made it for the family the other night and it was a huge hit! My little one is a mac and cheese connoisseur and declared this to be far superior to any mac she’d had in her entire life. (That’s 8 whole years, mind you lol!) Thank you so much for this recipe. I plan to make this over the Holidays from now on, as well as for any potlucks that come my way. You’re amazing. I absolutely love your recipes! Your YouTube video are perfect and very easy to follow. I have lost count of how many mac and cheese recipes I’ve tried over the years. I’d settled on one that’s pretty good that I’ve used for the past several years. THEN i tried this receipe. Oh My Goodness. This is the best. I made it for the first time last weekend. My search is over. This will be my macaroni and cheese recipe forever. Rich, creamy, flavorful and oh so yummy. Thank you so very much. Hi Carla! I’m glad that you like my recipe! Rosie, your recipes are simply amazing. I am going to next try the soulful mac and cheese. I am so very excited. I believe with you and your amazing recipes, the food network needs YOU!! Thank you for sharing your wonderful talent with us on the web. I do hv one question. Your recipe states to buy block cheese. I was going to buy from the deli. However, I am unclear as to the thickness and how many slices equal 4 oz. Also, Could I substitute heavy cream for half and half, which I already have. Or should I buy half and half? Thank you again, for taking the time and energy to display your recipes in such a clear and concise manner. Hi Jennie! When buying from the deli, you can ask for the amount needed. Ask for 4 oz of the cheese. OMGoodness!!! Thank you so much for sharing your recipe. I simply believed that my Mac & Cheese recipe needed a make over. I’m so happy to have found you. Sooooo I made my list on last night and did my shopping first thing this morning. I wanted to play around with the recipe and ended up making pans for my neighbors. I made a small pan for my household as well but didn’t want to over do it, considering that Thanksgiving is less than 1 week away. It’s was all really good. Thank you! Thank you! Thank yooooou! Hi Sonya! So glad that you like the recipe! This is a great tasting recipe and it’s easy to follow! 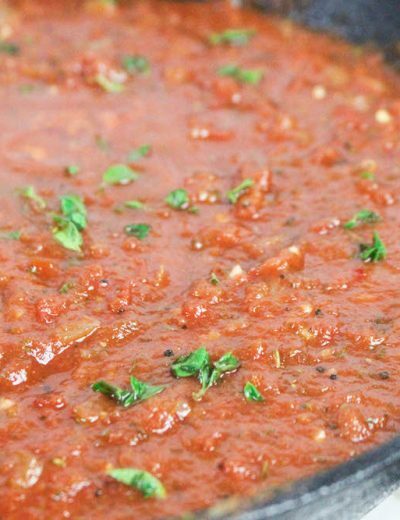 The sauce made with cream cheese, havarti and Gouda cheeses make it wonderful. I bought the havarti and Gouda from the deli and when I got home I realized they sliced me a smoked Gouda cheese instead. It was still excellent though….I just cut back on the smoked paprika. The proportions listed for each ingredient is perfect. Thank you! 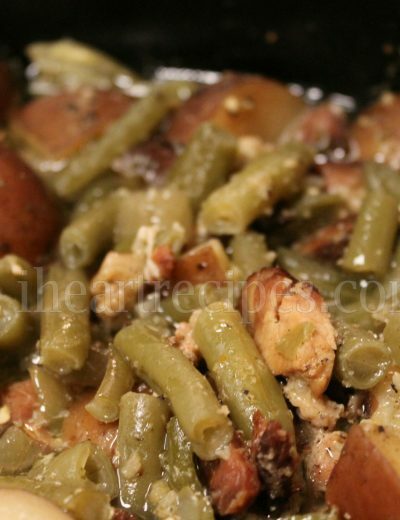 Making this right now for thanksgiving dinner and it looks and taste amazing! 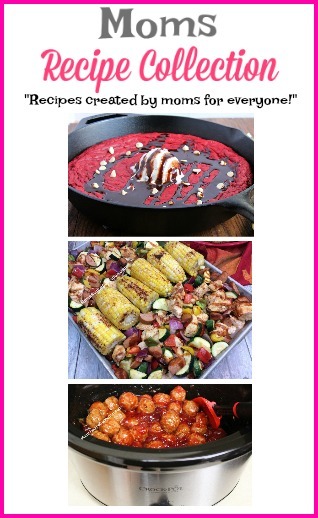 !Awesome recipe cant wait for everyone to try it!! Made this today with my girlfriend, we love cooking and trying new recipes and this has now become a must have dish for family gatherings and holidays. Your recipe is genius and so delicious. Thank you so much for sharing ! Everyone says never make something the first time on Thanksgiving!! Well.. I did… The Cornbread Dressing and the Macaroni and Cheese was Spot On!! Everyone Loved It and After Making two pans of each.. There was Nothing Left. You Are The Bomb!! Rosie, I just want to let you know that I was a SHERO at Thanksgiving!! I have been hosting Thanksgiving now for 7 yrs and this I will admit was the best. The mac n cheese was a HIT!! I made 2 pans, one just as you have it then I made one with crab. Can I tell you both pans were empty by the end of the night. There was over 40 family members at my house and very little left overs. I was glad everyone enjoyed my cooking. I will admit, I’ve gotten better thanks to you. You are my go to girl for all my recipes and you really help me to shine. Thank you!! My husband has been searching for the elusive *perfect* Mac & Cheese, for as long as I’ve known him. He always tells the story about being in San Francisco and paying $50 for a Mac & Cheese at a restaurant, claiming to be the “best”. He was very disappointed. I’ve come close over the years and he’s been very happy. I stumbled over this recipe and tried it today. I cannot thank you enough. 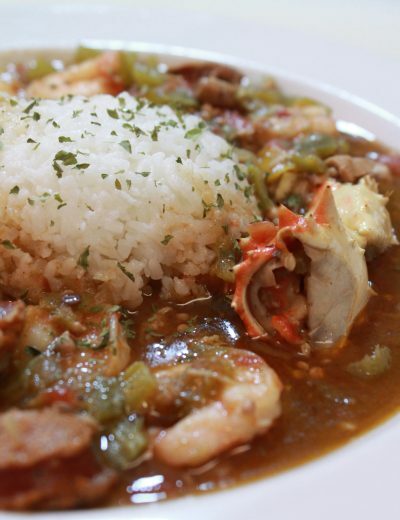 This was a crowd pleaser, and it sure to be a cherished family favorite. 😀 thank you!! Glad that you like the recipe! Hi Rosie… can’t wait to try this recipe for Christmas. Does it store well if I make it the night before and heat up the next day? Thanks! It’s best freshly made, but you can warm it up the next day. You probably should triple the recipe. I made this recipe today and omg I LOVE IT..By far the best Mac & Cheese I ever had…Thank For Sharing!! I just came across your site as I was searching for a new recipe. I’ve been using the same one for a couple of years now, and recently made it for Christmas, but it was very dry and not as creamy. I see in your recipe you add cream cheese. I am not a fan of cream cheese as I don’t really like the taste. Is it an absolute must to include in the recipe? Are you able to taste it? Yes, you can slightly taste the cream cheese. Rosie my Rosie I can’t thank you enough for your unbelievable recipes! I am so glad that I could assist you with your holiday menu! I appreciate the kind words. Hoping that you have a amazing 2017! Made this on Christmas and it was a hit!!! Thank you!!! Gonna look up all of your recipes so that I can get more kudos. lol Happy New Year! Thanks for trying my recipe Laurin! I love ya back hunny! I made this Mac N’ Cheese this past Thanksgiving 2016 and it was a hit!! Everyone was like this Mac N’ Cheese is GOOOD!! Very tasty, creamy, and down right flavory delicious!! This is my go to Mac N’ Cheese now oh and I followed your recipe to the “T”! It’s perfect!! Can you make this ahead of time, say 2 hours, and then bake. I have to take this to a dinner and I want to cook it when I get there. Sorry, I misread the comment. Yes! This sounds delicious. Do you think I could make it up ahead of time and refrigerated then bake it? For best results, make it the same day. Made this tonight. It was amazing! Thank you for sharing your recipe. Going for the banana pudding next. Hey Rosie, just tried this recipe and it is by far the best macaroni and cheese recipe I have ever tasted. THANK YOU for the recipe!!! Hi Lillian! I’m glad that you found my recipe! hi there! i love your recipes and i’m planning on trying this for dinner, however, is there any way i can opt out of half and half with another substitute? Hi Abby. For best results I would advise sticking to the recipe. Is there a particular reason why you can’t use half & half? Omg!!!…….. best Mac and cheese recipe ever I made it your way then I tweaked it a lil by adding one cup of sour cream sooooooo goooood both ways are out of this world thank you !!!!! Thanks for trying my recipe William! OK so i literally NEVER leave comments on recipes but I just made this for my picky boyfriend and you really touched my heart Rosie. This is amazing. He loved it. Everyone loved it. He grew up on soul food and I didn’t so I never even usually dare to try to make any soul recipes but after seeing all the positive reviews and no velveetain this I knew I could at least try. Omg. Life changer!! Could I make this in the crock pot? Hi. I’m making this for a Halloween party. Can I substitute elbows for a different pasta? Hi Rosie! 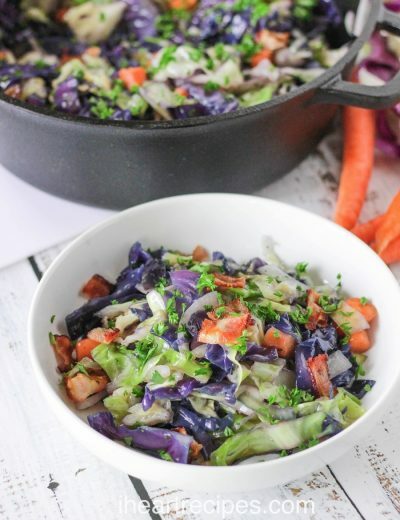 I would love to try this recipe but I want to make a small personal pan because it’s only me. How would I go about doing that? You will have to figure out the measurements for one person. This recipe was delicious!!! Just made it and I can’t stop going back for more!!! Thanks for sharing! Question for you. I love extra sharp cheese, can I pair that with the mozzarella and sharp instead of the Colby Jack? Hi Rosie! I’m looking to make this recipe for thanksgiving but I’m a little worried about the seasoning measurements in which you have posted. I’m afraid that a teaspoon of each seasoning won’t be enough. Did you precisely measure each seasoning or did you kind of eyeball it and seasoned it to your liking? You can always adjust the seasonings to your taste. I’m torn I just seen this recipe please which one do you like better this one or the southern I’m trying to make Mac n cheese for thanksgiving mind you I love cheese. I love both! This one is a tad bit more expensive to make though. I want to make this recipe a day or two ahead. Should I assemble the whole dish are keep them separate and put together the day of Thanksgiving and heat? I am concerned about the noodles absorbing the sauce and losing some of the creaminess. I would make it the day before, if anything. Absolutely the best MAC & CHEESES I HAVE EVER MADE AND TASTED. Sorry ancestors. Just being honest. Have you ever assembled this dish, then refrigerated it over night and baked the following day? Just wondering if this method affects the quality at all. I’ve made this macaroni and cheese (same day) several times before and it is DELICIOUS. Just trying to get a jump on Thanksgiving day. I saw you have another Mac and cheese recipe, Soul Food Mac and a cheese. I was wondering if I could incorporate the two, five or take a few ingredients, and arrive at the same delicious outcome? I want to use the cheeses in the southern baked Mac and cheese, but still in corporate the ingredients and spices in the soul food Mac and cheese. Can I do that and it still taste good? 1st Time Making Baked Mac For The Holidays & It Was Amazing! Saving This Recipe For All Future Is Events & Holidays! This was the best mac and cheese I’ve ever made! No leftovers 🙁 Thank you for sharing this awesome recipe! OK, so I just made this for Thanksgiving, mind you it was my first time making it. I followed your instructions step by step and used the exact cheeses. IT WAS A HIT! I had no left overs what so ever! Unfortunately I only made one batch, so I will definitely do double for Christmas! This recipe is truly a keepsake! I made this for Thanksgiving and it was a HIT! I used a creamy Gouda that had chopped jalapenos in it for a little extra kick and it was perfect. My new favorite mac recipe! Made this for thanksgiving this year. And it too (along with the green beans in the slow cooker with bacon pieces) was a super super hit. So good, my family was asking me to make more the Sunday after thanksgiving because it was all gone! Thanks for the recipe! Normally my mac n cheese would be hit or miss. Thanks to you it will always be a hit! Does leftovers freeze well? I am making this for Christmas, but it is only three of us, just wondering what to do with leftover. I searched everywhere for an authentic soul food macaroni and cheese. I searched dozens of recipes until deciding on yours. I made it for the first time on Christmas and it was exactly like you said it would be. It was creamy, smooth and smoky! It was also rich and delicious! Thank you for sharing this recipe and video! I know I would be invited to the cookout!! I have made this recipe several times and my family loves her. Instead of plain gouda cheese I have substituted for smoked gouda and it adds additional flavor. Rosie you are the best!! What a wonderful recipe. My baby is allergic to eggs so I tried this as an egg-free Mac and cheese. I used the gluten-free eggless elbows and it turned out perfect. We love it !! Thank you for this recipe and the smoked paprika is amazing. Glad that you liked the recipe. This recipe has been my go to for awhile now. Always comes out amazing. Tomorrow I’m gonna take it to the next level and add shrimp and crab and top with some breadcrumbs. Wish me luck! That sounds amazing. Almost like my lobster macaroni and cheese. It has bacon bread crumbs ( drool)!!! Oh my cheese!!! This dish looks absolutely amazing! I must try it! My mother-in-law currently makes the best mac & cheese in our rural neighborhood. With this recipe though, I might actually finally steal her title of Mac & Cheese Queen! LOL Totally going to make this very very soon! Thanks so much for sharing it! By the way, new to your blog, LOVE your blog. Thanks for coming by Christine! 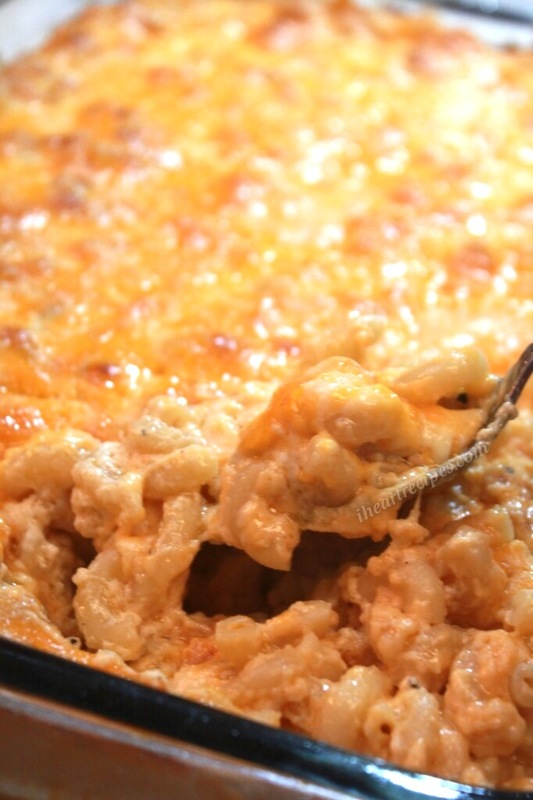 This is hands down the BEST Southern baked mac and cheese recipe. I love that you incorporated other cheeses outside of cheddar. People laugh and side eye me when I say I add havarti and gouda claiming it’s not “soul food”, but they soon shut up. I love your blogs and videos. Not only have my cooking skills increased, but you are helping to make my job as a stay at home mom enjoyable. It is hard work, but the look on my family and friend’s face after they try your recipes make me so happy. Thank you so much for the time you spend teaching us. On a side note I do have a question. I entertain a lot and this mac and cheese is always in demand and it always goes quickly. So…..instead of making 2 dishes of this recipe can I simply double all the ingredients? I know doubling is not always the answer. Is there any advice you can give me? Thank you for sharing this recipe. I made it for a 4th of July party that had some Mac & Cheese connoisseurs in attendance – they loved it and so did I. I tripled the recipe, baked it for an additional 20 minutes with it covered for the first 15 minutes. The end result was Bubbly, patches of brown, gooey, creamy and stringy goodness. Mmmmmmmmmm!! Absolutely the BEST recipe ever. I made this for my stepdad, who is the pickiest mac n cheese person, and he couldn’t get enough. He even ate it the next day with dinner when he wasn’t even hungry. He said it was so good he could help himself! Thank you! God Bless you! This is the best mac and cheese. Thanks for sharing. Huney yes you are so right velvetta cheese DO NOT go in home made mac and cheese!!! Anyway love your recipe, it’s almost similar to mine except I’ve never used cream cheese in it before(but i will be trying it out) and i don’t use all those different cheeses as you do. However, I do use sharp cheddar along with a mix blend of cheeses AND I layer mine with some good ol’ red rind(hoop) cheese and top it with sharp cheddar. THANK YOU FOR SHARING YOUR PASSION WITH US AND GOD BLESS YOU!!! Very good recipe. It seemed like too much cheese sauce when I poured it into the pan but it was perfect. Seasoning on point. Great reviews from all. Try it! Thanks so much for trying my recipe luv!! Smoked gouda will give the mac and cheese a smokey taste. I never leave comments for recipes I’ve tried on Pinterest, but I wanted to leave a comment for you. Last year I made your mac & cheese recipe as a side dish at Christmas and it was such a big hit with my family. Even my son-in-law who swore he does not like mac & cheese loved it! The kids are all coming in from out of town for Thanksgiving this year and they requested I make it again. Thank you for sharing your yummy recipe! Hi Rosie, I made your recipe 2 years ago for Thanksgiving and it was an hit.My family couldn’t stop talking about it. My question is can i prepare this dish the night before, and if I do will it still taste the same. Hi! I’m going to make this dish for thanksgiving and was wondering if you could tell me about how many people this will feed? Hello! Is there a way I could make this the night before and put in the fridge? I never done it, but I think it’s possible. So I’m brining some of your amazingg Mac & cheese ( I made it last year and fell in LOVE) to a Friendsgiving and there’s going to be about 20 people , I’m thinking of doing a big pan and if so should I just double the recipe in one big pan ? Like double all ingredients? I posted a comment asking a question earlier this fall, and I am following up because your recipe intrigues me so. I am a student at Vanderbilt University taking one of the country’s premier soul food classes available in higher education. I have been through dozens of proclaimed “soul food” macaroni and cheese recipes and not one of them has included flour. In my class we have learned that soul food has been defined (from the Black Power movement of the 60’s) as the cuisine of black Americans from various backgrounds, and considering that you are a black American, this macaroni and cheese does count as such. On the other hand, this is the first “soul food” macaroni and cheese that uses a roux (with flour, milk and butter) as its base. 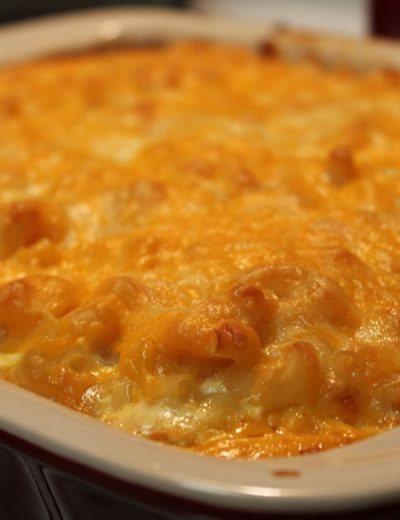 I am curious as to the origin of this recipe is and your background with macaroni and cheese, because, as you say, “this is the kind of baked macaroni and cheese you probably had growing up in a soul food household”. If there’s a group of people making soul food who make macaroni and cheese without flour, I’d love to find out more. I’ve already sent my email, and would love to chat with you. I haven’t made your recipe, but I am looking forward to it. 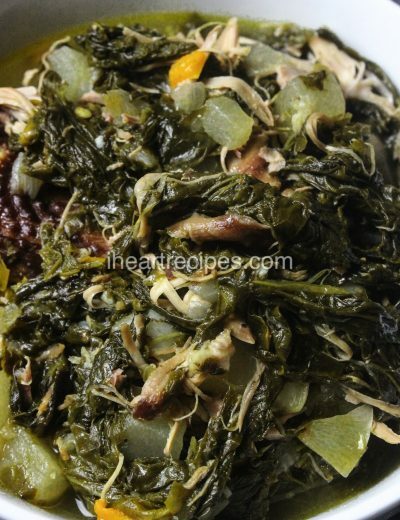 Soul food, like all other foods, is made differently from household to household. Its hard to say were it came from because everyone cooks differently. Rosie, Rosie, Rosssiieeeee, This was my first take making Macaroni and Cheese. Girllllll this is one of the best Macaroni and Cheese’s I have ever tasted. Shredding the Cheese instead of buying the Shredded Cheese makes a huggggeeeee difference. For my Husband to tell me that this is thee best Macaroni and Cheese he’s ever had and that he likes it BETTER THEN HIS MAMA’S, Whewwwww Chile… Thank you Rosie, Thank you!!! I will be using a lot more of your recipes. I think I feel guilty for using so many of your recipes this Thanksgiving. I prepped my Mac & cheese & will bake it tomorrow. I tasted it with the sauce and I can’t wait. I know it’s going to be Awesome! Thanks for the yummy recipe! Thank you Rosie! I absolutely LOVE this recipe, I’ve been using it for the passed 3 years. But this year I’m making 2 batches in the same day for different families at different times…how can I keep it fresh and out of the danger zone before I bake it? I prefer to bake it right before I serve it, but I’m preparing everything else a few hours ahead of time. I prefer to make everything at once for this recipe. LOL. Some people have been assembling it, then placing it in the refrigerator until they’re ready to bake it. Can this be assembled, refrigerated, and baked the next day? I always make it the day of. Incredible dish! Made it this evening and am now enjoying it with my boyfriend. 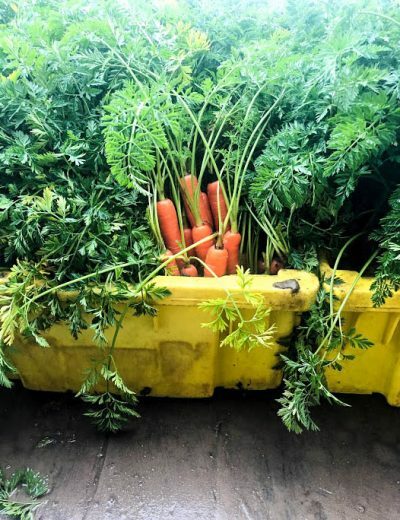 Thanks for sharing this and I looking forward to following your other recipes!! OMG! I just followed your recipe. It is absolutely delicious. This is the only way that I will make it from now own. The pairing of the Gouda, Havarti and cream cheese took it to a whole new level. Rosie, Rosie..This was TheBomb.Com . I just made this recipe this past weekend and everyone loved it. I followed all your steps and my lactose intolerant behind hated me after eating it but It was amazing. Thank you so much!! Made this for Thanksgiving this year. Making again for Christmas! I’m having a large dinner. Wanting to double this recipe. However I’m unsure of cooking time or should I just make two 9 x 13 instead. What’s your thoughts? When I tell you that this changed the game for my Mac and Cheese!! I come to this recipe everytime and this dish is the first to go! Thank you so much for the recipe!! Hi! This recipe looks amazing! I was wondering if I can make it in bite sizes, in a muffin pan? How will I bind it all together? Does it stay creamy even the next day or does it dry out like all the Mac and cheese recipes that I have made ? OMG! This Mac and Cheese recipe is the BOMB.com!. So creamy and delicious. My son loves it! Thanks for sharing. I made this for the second time this weekend and had to use more a cup more half and half because I didnt have any evaporated milk. This still turned out and was the 2nd thing gone at the bbq. Thank you for this recipe Rosie! I made your crockpot macaroni in the past and I loved it as well. Your recipes are amazing! I won’t make any other Mac and cheese from now on!!! As I type this I’m eating leftovers!!! So good! I’m gonna check you out and have your recipes all up in my kitchen!! !